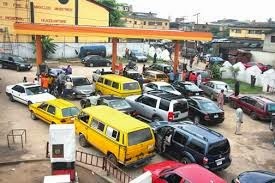 Nigerians will experience relief as Major Oil Marketers Association of Nigeria (MOMAN) monday resumed loading of petrol to various parts of the country, exactly after one week after suspending activities in protest over unpaid subsidy claims. The Petroleum Tanker Drivers (PTD) section of the Nigerian Union of Petroleum and Natural Gas workers (NUPENG), which also withdrew tankers from the roads on May 18 in solidarity with the marketers have also resumed trucking of products to fuel stations nationwide. It is expected that the independent marketers and other depot owners would follow suit. The decision to resume loading by oil marketers followed a meeting convened monday by the Senate Committee on Petroleum (Upstream and Downstream) to resolve the fuel crisis, which had crippled economic activities nationwide and forced several banks yesterday to reduce their opening hours to the general public. The agreement also states that the Department Of Petroleum Resources, DPR, should also revoke the license of any oil marketer that refuses to lift petroleum products across the country. In addition, the Depot and Petroleum Products Marketers Association, DAPMAN, has also agreed to open their depot in the next six hours.